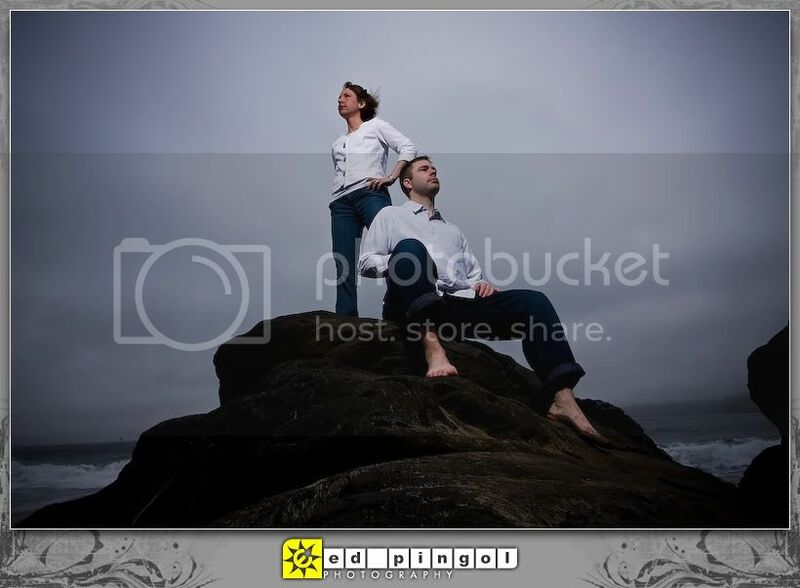 the term "engagement session" is a misnomer. 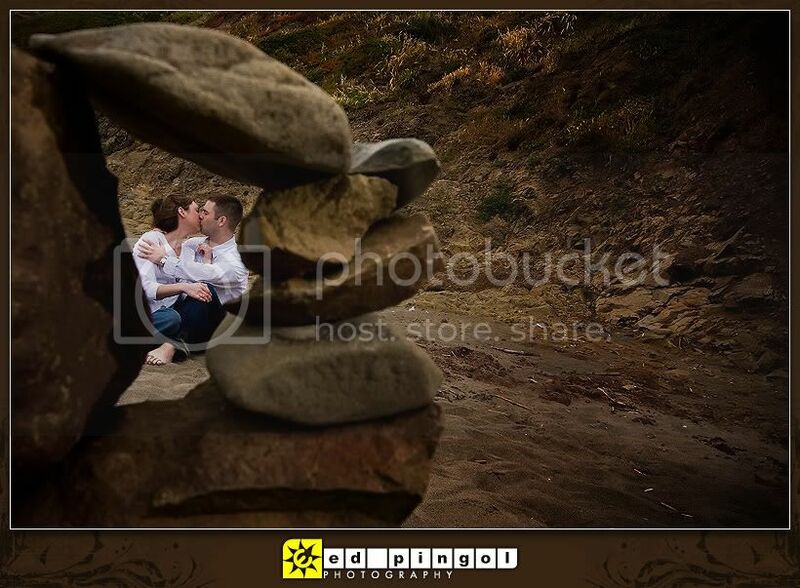 heck, ed and i have been married for 3 years and we just recently had our very first engagement session. the "engagement session" (or "lifestyle couple portrait session") is a great way to chronicle the special relationship you're in, whether you're new sweethearts, about to get hitched, or celebrating your anniversary. this is especially true if you have the chance to visit a really cool city... which is exactly what sarah & chad did. sarah is an awesome photographer based in nebraska, who decided to take a trip out to san francisco, with her husband of four years, chad. it's all too common for photographers who capture thousands upon thousands of images of other people to not have very many photos of themselves. 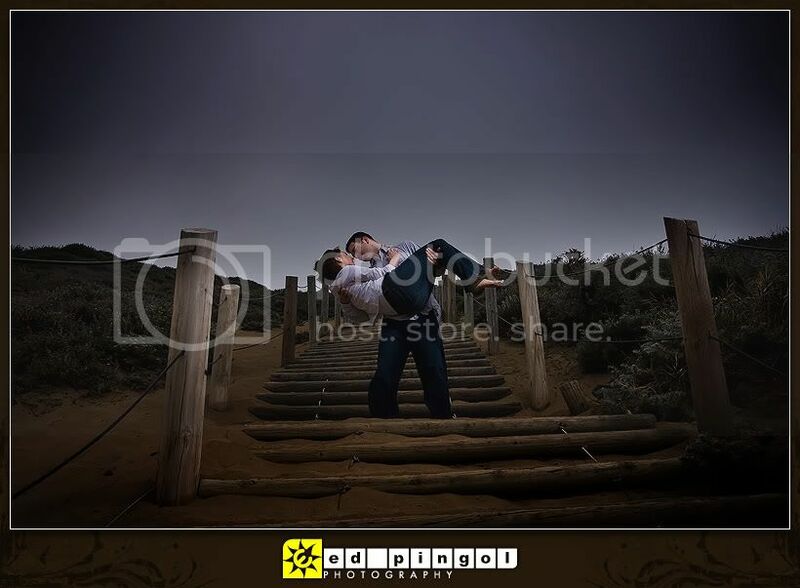 sarah and chad decided not only to take in the sights of the city but to have the experience recorded in photographs. of course, there's no better way to feature the city than to include the majestic golden gate bridge in the background, so this adorable couple chose baker beach as the location for their engagement session. 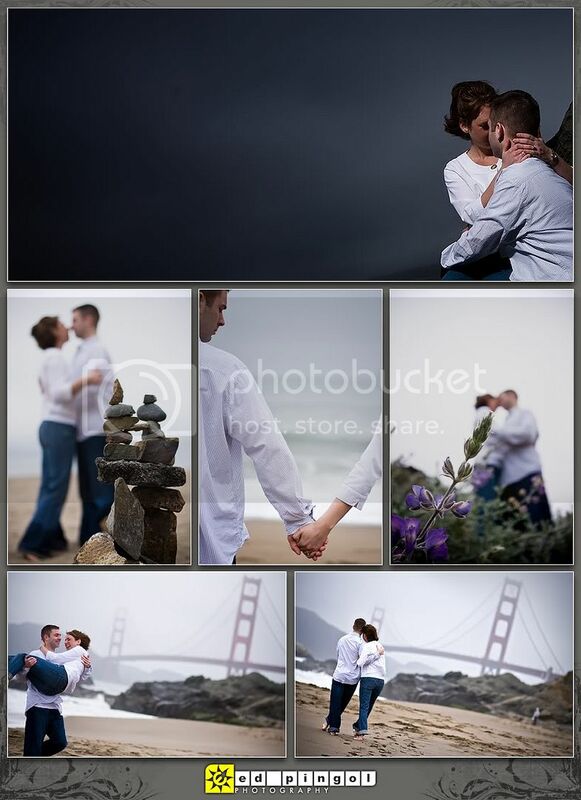 thank you for allowing us to photograph part of your sf experience, sarah & chad! we had a blast! ... neither could we pass up this awesome rock sculpture! 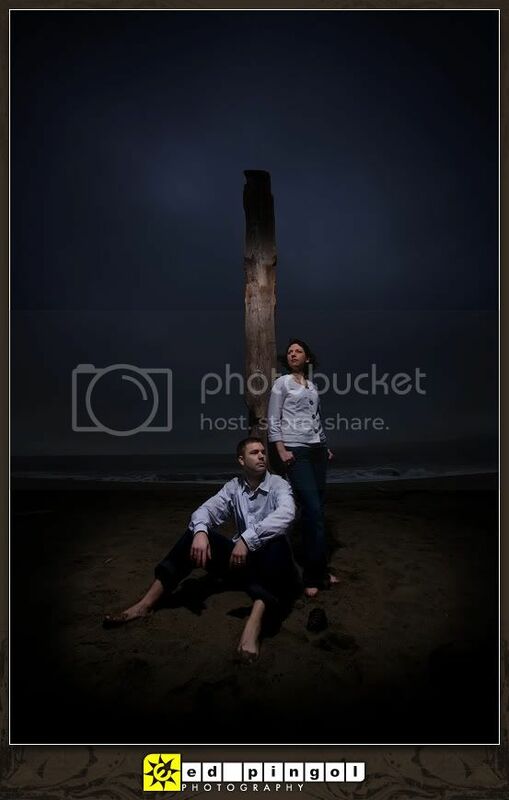 although the beach was cold that morning, we could feel the warmth radiating from these two lovebirds. the log steps that go on for days!